Let me tell you the many reasons why I love Lynn Ritchie. 1. The styles fit a woman's body. 2. 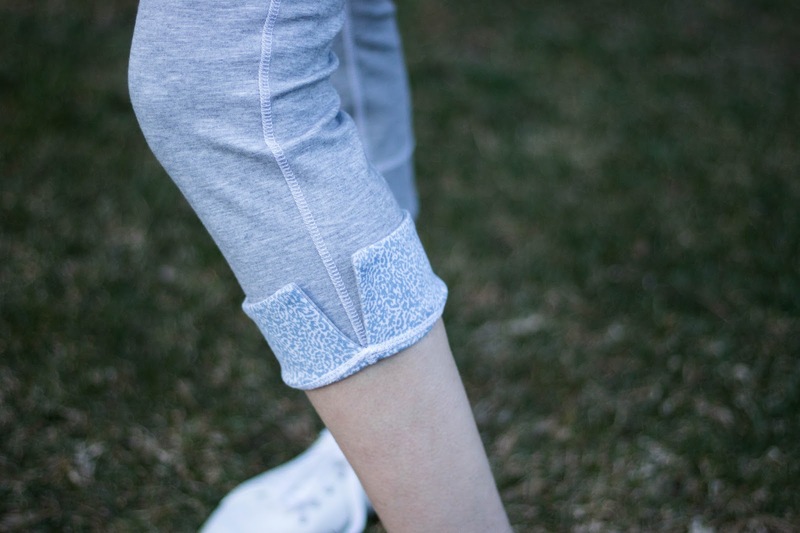 The quality is amazing--the fabrics are so soft and comfy and the attention to detail is meticulous. 3. The clothes are practical, yet super stylish. 4. The company is woman owned. Here's what Lynn has to say about her line. "When I design my collection I keep you in mind. It's important that you feel wonderful when you put on a Lynn Ritchie. To me, dressing is a sensual experience"
5. The company has a huge heart and is a contributor to Uncommon Threads. Our clients LOVE their clothes (as do I)! 6. They are also so sweet and nice...they even asked me to model with a cast on! Everything shown here is reversible, so you can make a ton of different outfits from just three pieces! This tunic, vest and crop pants are solid on one side and a beautiful blue floral print on the other. 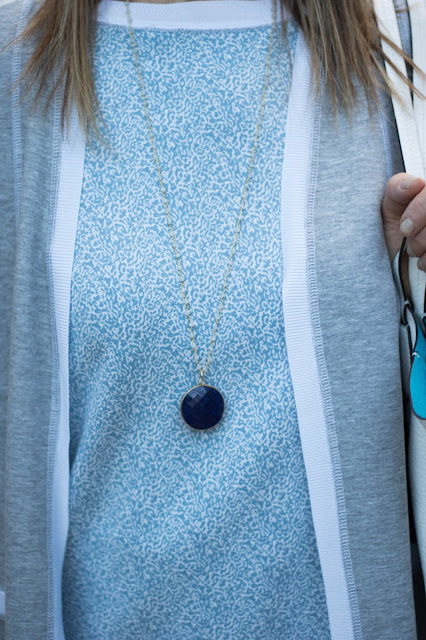 Wear these pieces with a mix of solid gray and floral, all floral or all solid. Roll up the cuffs for a bit of contrast. 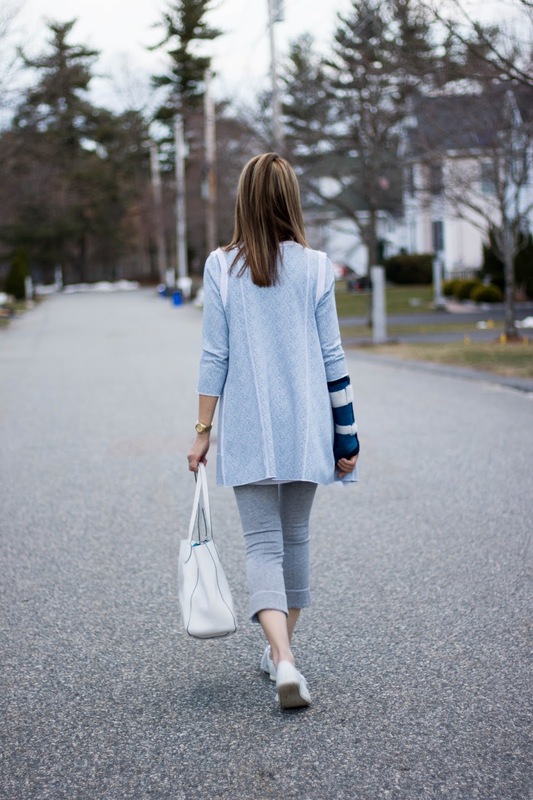 Wear the vest with a simple tee -- or the tunic with leggings or white jeans. Just think of possibilities! And this outfit is perfect for traveling! 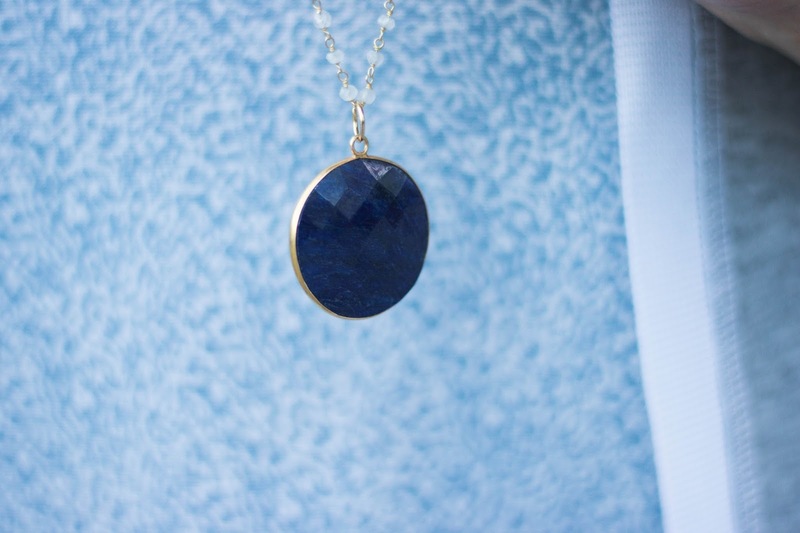 This stunning lapis pendant is from Laura Mayblum Designs. I'm in love with all of her exquisite jewelry. You can follow Laura on Instagram or contact her directly at lmayblum@gmail.com. Laura will give a 20% discount to my readers so let her know I sent you! 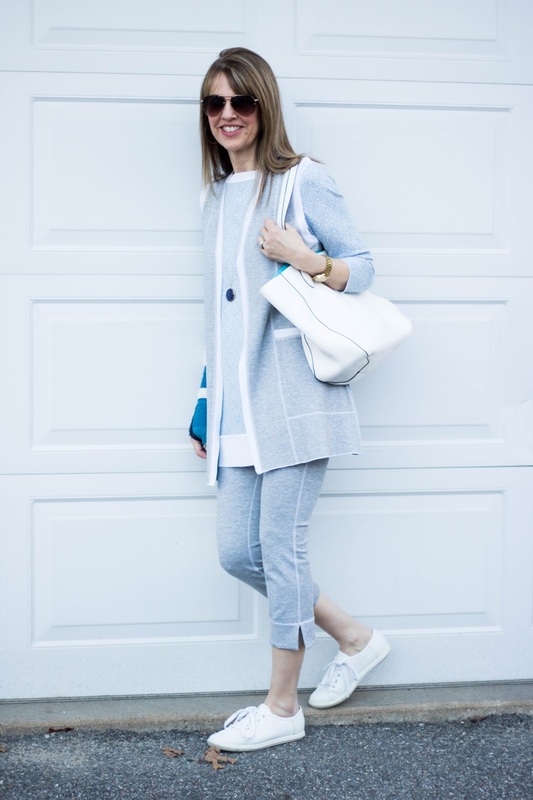 White leather sneakers keep things casual and comfortable--similar HERE and HERE. If you're new to Lynn Ritchie, I encourage you to check out the line. I really think you'll love it as much as I do. Takes a woman to design for women! The Lynn Ritchie clothes and Laura Mayblum necklace were gifted, .however, the content of my posts are based on my own honest opinions and are not in any way influenced by partnerships. Love how you added sneakers for more of a casual vibe! This looks comfy and stylish!! I have never heard of Lynn Ritchie but damn she makes some great casual clothes. Your entire outfit is gorgeous. 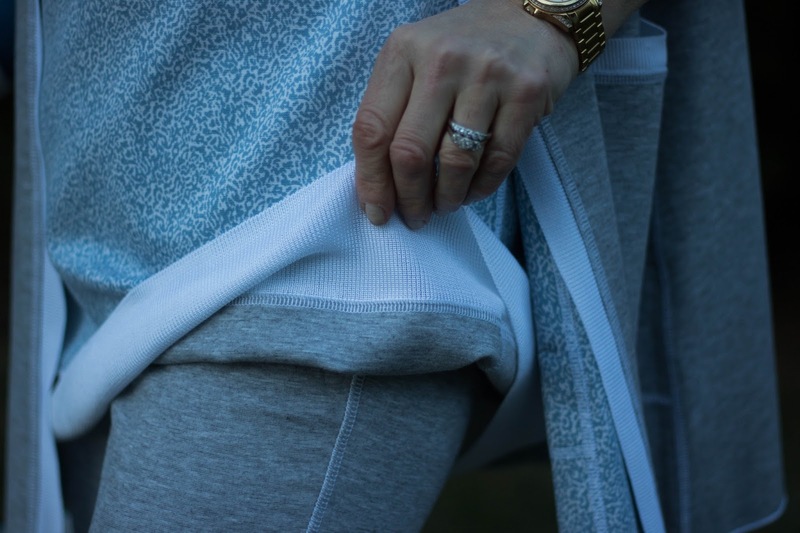 Perfect athleisure look. I particularly love the pants, cardigan and sneakers. And hey my friend what happened with your arm?! Hope it heals soon. 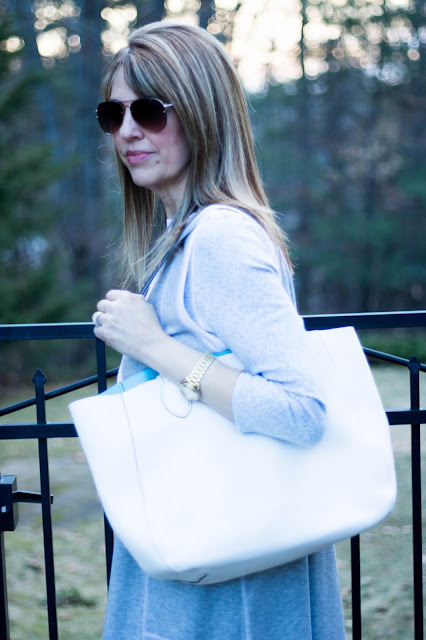 A brand new Thursday Moda linkup is currently live and I'd love for you to join it and share your great sense of style. Thanks and enjoy the weekend!! So cool these pieces are reversible! 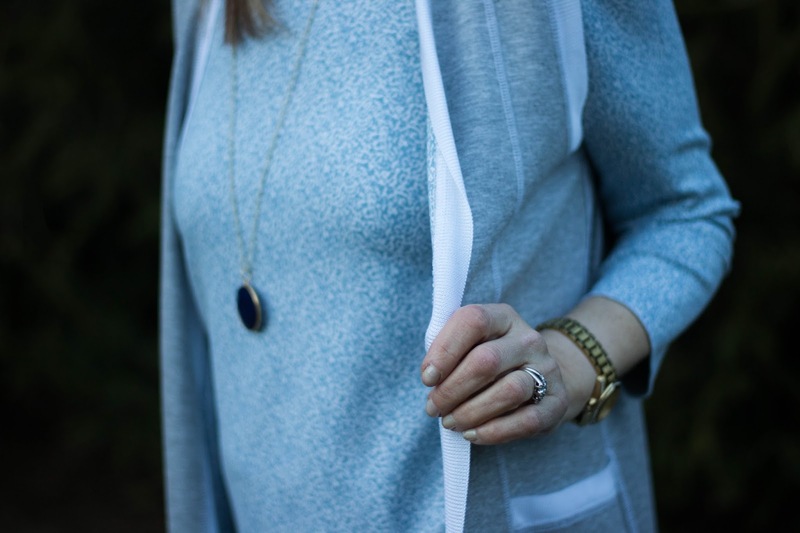 I like the longer length tunic and cardigan and the casual way you styled this look. Thanks for linking up and have a wonderful weekend, Susan!